My name is Lori Byrnes and I am happy you have chosen to be part of our “family” of patients! You may not see me too often in the office, I tend to work more “behind” the scenes, but I am always available to you via email or telephone! I am always willing to review with you or answer any questions you may have regarding all of our office policies and procedures, assist you with making your appointments based on Dr. Bill’s recommended care plan, as well as discuss the specifics of your chiropractic insurance coverage. If you do not have chiropractic insurance or have limited insurance, we will work together with our affordable financial cash plans so that you will be able to receive the chiropractic care that you need and deserve. The office chiropractic assistants can also answer any questions you may have too! My goal is to keep you, your family, your friends, and especially your children or the little ones in your life, HEALTHY, through chiropractic! Hi. 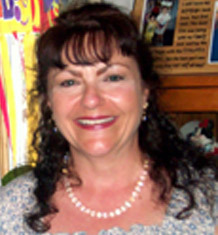 My name is Susan and I have been a chiropractic assistant at South Shore Family Chiropractic since January 2001. Like most people, I was introduced to chiropractic after an auto accident. A friend brought me in to see Dr. Bill when I was in a lot of pain. I didn’t know anything about chiropractic and was fascinated after I found out what it was all about. After a few months of adjustments, I learned that Dr. Bill was looking for help in the office. He’s been stuck with me ever since. I have brought my whole family, and everyone that I care about, in to get adjusted. Once you realize how great getting adjusted really is, you will want everyone you know to be in the best health possible. Meet Dr. Amy Hall-Newman! We at SSFC are very happy to have her as part of our family! You can see Dr Amy in our office on Fridays! Dr. Amy Hall-Newman is a 1995 graduate of Palmer College of Chiropractic, located in Davenport, IA. Prior to attending chiropractic college, she received her B.S. in Nutritional Science from the University of CT. Dr. Amy seeks to help people find health and healing through chiropractic. She especially enjoys caring for pregnant women, children and families. 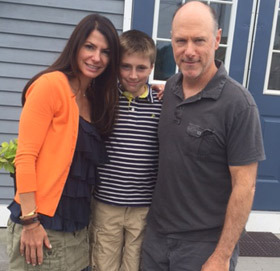 Dr. Amy had her own practice in Mashpee before closing it to raise her growing family. She has six children ranging in age from 9-18 and is a homeschooling mom. 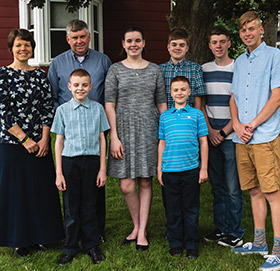 Dr. Amy and her husband, Jim, live in Whitman with their children. What has Dr. Amy been up to prior to joining us at SSFC?? The past few years have been very busy ones for my family. Two of my children attend Whitman-Hanson High School, and along with a third, run cross country and track there. I continue to homeschool my four other children. Our days are busy and full but ultimately rewarding. My oldest son is soon to graduate and has joined the Air Force. As a mom, I am both proud and nervous about what the future holds for him. My youngest is now 9 and growing and maturing as quickly as his older brothers and sister. I am now at a stage of my life where I am looking for more challenges and opportunities outside of the home. While planning to continue homeschooling and prioritizing my family, I am excited about the opportunity to share my love of chiropractic with the staff and patients of South Shore Family Chiropractic! Contact us today to schedule your appointment (781) 335-7671.